Protecting your hearing is important, and later in life you’ll be happy you did. Hearing is fascinating, because it’s one of the senses we don’t really think about as much, compared to something like vision or smell. Protecting your hearing is important, and later in life you’ll be happy you did. In fact, it’s one of the easiest ways to improve your overall health. By taking the right steps to protect your hearing, you’ll also be preventing hearing loss. Don’t be late to hearing protection, otherwise you’ll end up regretting it in the future. 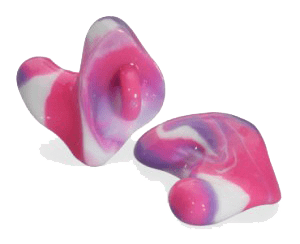 Earplugs have a rough stigma. People tend to think that they look odd, so they shy away from wearing them. They don’t want other people to see that they have to use them. That’s nonsense, because all earplugs do is make you safe and healthier. If you’re entering a situation where loud noise could induce hearing loss, use common sense and wear earplugs. Not only are they easy to find, but you have plenty of different choices, whether it’s standard Styrofoam or more advanced designs. Music is incredible, and it can still be incredible at a reasonable volume. Whether it’s through your car stereo or headphones, the louder your music the more susceptible you are to hearing loss. You don’t need to turn your music all the way down, as that wouldn’t be realistic. The best recommendation is to listen to anything (music, tv, movies) at a little more than 50%. Anything over 75% could be dangerous. In similar fashion to the volume rules, don’t overexpose yourself to detrimental situations. If you’re going out to a club, don’t stand right next to the speakers on the dance floor (the same can be said for a concert). If you’re swimming, don’t stay in the pool forever, letting the water accumulate. It’s important to remember that these situations require a lengthy recovery time. And while not everyone has time to consider that, it’s still imperative that you’re aware of the ramifications. Stress is another factor when it comes to your hearing, as it can amplify your bodily processes. The ability to effectively manage your stress can pay off when it comes to preventing hearing loss. This entry was posted on Friday, December 1st, 2017 at 10:08 am. Both comments and pings are currently closed.